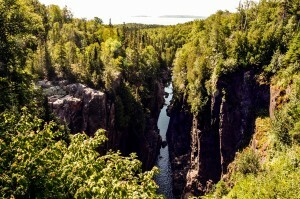 Terrace Bay is located at the Top of Lake Superior along the Trans-Canada Highway. 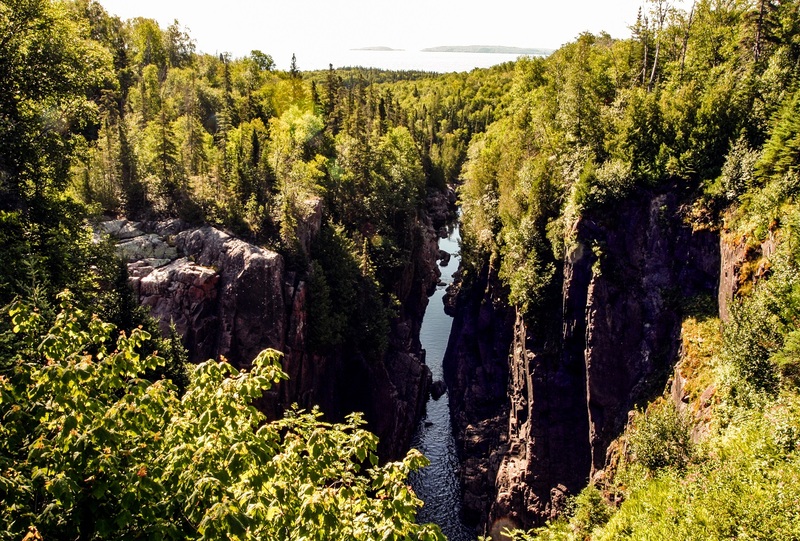 This beautiful community has a proud forestry history and its special relationship to the world’s largest fresh water lake is why it is known as Lake Superior’s Playground. Terrace Bay has nine white sand beaches for visitors to enjoy with easy access from the highway. It has a strong business community with a grocery store, pharmacy, restaurants, gas stations, accommodations, retail shopping and more. Terrace Bay is home to the best kept secret on the Lake being the Slate Islands Provincial Park. Visitors can book charters in advance to take them out to the park to see the friendly caribou population and hike to the highest lighthouse on the Great Lakes. Terrace Bay has numerous activities for all-seasons with some of the most popular including fishing, hunting, boating, snowmobiling, and sightseeing. 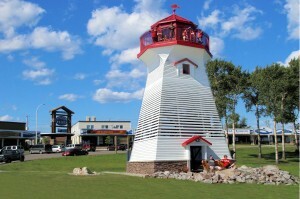 The Township recently renovated the downtown core in a theme of Lake Superior which includes a 5 story lighthouse attraction to take in views of the area.  Terrace Bay holds a wide variety of special events and more information can be found at www.terracebay.ca or by visiting the tourism info centre on the highway. The Terrace Bay Lighthouse is a 50 foot replica of the Lighthouse at the nearby Slate Islands which is the tallest lighthouse on the Great Lakes at 224 feet above sea level. It is located at the Simcoe Plaza intersection directly on the Trans Canada Highway. 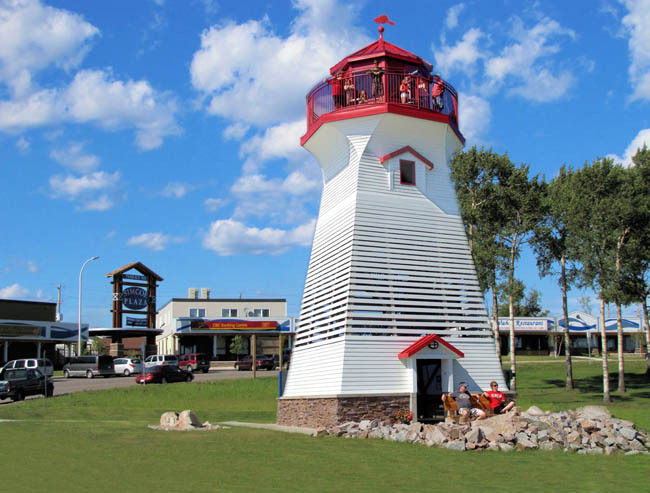 The Terrace Bay Lighthouse was constructed in July 2011 as part of the $3 million downtown revitalization project. It had an attendance of 12,000 people in 2011. Visitors can climb the authentic staircase inside the lighthouse to the viewing platform and take in amazing views of Lake Superior, the Slate Islands, and the rest of the surrounding area. The Slate Islands archipelago is formed of two main islands, five minor islands and numerous islets located 13 km off the shore of Terrace Bay. The islands cover 36 square kms and are accessible by boat or plane, usually from Terrace Bay or Rossport. The two largest islands, Patterson and Mortimer, surround protected waters, coves, bays and smaller islands. Aguasabon Falls is in Terrace Bay right off of Hwy 17. The paved road to the falls is just west of the town and is well marked. This waterfall is definitely best seen when the water is higher. In all of the pictures I have seen there is a torrent rushing over the cliffs (see the photos in the Terrace Bay website). In August the water stays in contact with the rocks largely due to the fact that most of the water is diverted upstream for power generation. This huge sandy beach on Lake Superior offers delight to all – whether you like walking the beach, having a picnic, or taking a dip in Lake Superior’s invigorating waters, there is something for everyone. 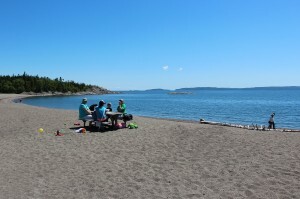 The beach is located next to the Aguasabon Golf Course and hosts such events as the annual Canada Day Celebrations, Lake Superior Day, the Terrace Bay Fish Derby, and sports like beach volleyball, fishing, hiking, swimming, and general sightseeing. On a clear day you have a magnificent view of the Slate Islands. The Casque Isles Trail is a signed and groomed trail that offers incredible vistas to hikers of Northern Ontario and Lake Superior. Offers a challenging 9-hole course nestled amongst the woods on the lowest terrace of the north shore of Lake Superior. Terrace Bay is appropriately named after the raised terraces formed from the receeding glacier that covered the area during the ice age. The Golf Course offers tourists staying at the local motels in the area a 50% discount off of green fees for the day! Just show your receipt or room key and receive this discount!